Prank your guests by serving up dinner for dessert with these cleverly decorated cupcakes. You can take pride in their confusion as they eat something that looks savoury but actually tastes deliciously sweet. Easy to make, these cupcakes are perfect for making by yourself or with younger children too. 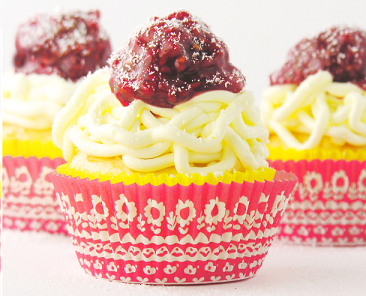 We're sure your kids will enjoy creating their spaghetti and meatball cupcake concoction! For the full instructions on how to make these delicious cupcakes, just head to Ruthanne's blog here! 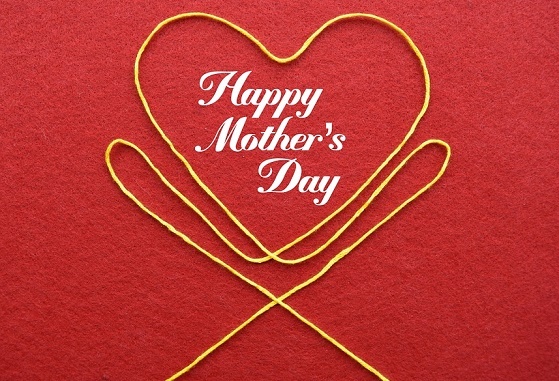 Starting with the spring equinox and ending with Mother's day, this week is truly one of our favourites in March. If you've not yet figured out the best way to show your mum just how much she means to you, remember: food is always the way to the heart! We've compiled a list of some lovely cake recipes from some of the best baking bloggers across the UK. These cakes are ideal for you to bake with your mum this mothers day, because spending time with the person who created you is perhaps the best gift you can give. To celebrate the return of the spring, we've also decided to choose cakes that have a bit of a fruity infusion. This should help the post-cake guilt! These recipes range in difficulty and taste, so there should be something to suit everyone. This show-stopper of a dessert is sure to capture the attention of all of your guests this March the 17th. 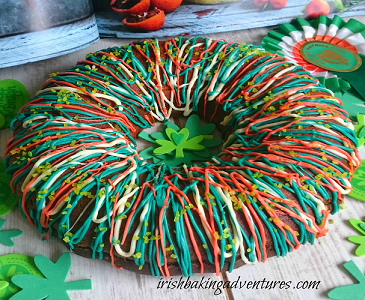 Not only is it beautiful to look at with its Irish flag colourings, we're certain it tastes scrumptious too! As it is a traditional Italian style cake and includes tasty ingredients such as lemon and ricotta, how could it not be? Alongside being a tasty treat for friends and family, it is also quick and easy to make, so the children can join in making it along with you! For the full instructions on how to make this delicious cake, just head to Karyn's blog here! Happy British Pie Week to you all! Is there anything more British than the humble pie? The queen, perhaps - but we’re certain she loves pies too. For this reason, we’ve decided to share some of the best pie recipes we’ve stumbled across with you! 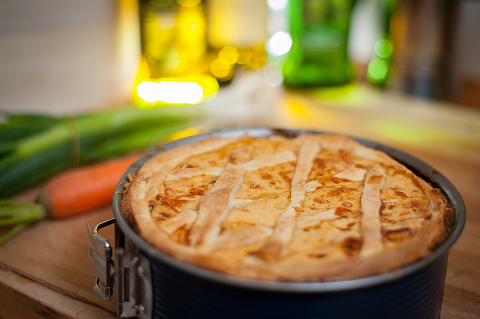 We’ve chosen a bit of everything, ranging from sweet to savoury, meaty to vegetarian, so there’s a pie to suit everyone. While we're here, we thought we’d share an interesting fact with you too. Back in the day (that day being medieval times), pie baking was almost a competitive sport, and many chefs would place live birds underneath the lid of their pie to create a spectacular scene when the pie was cut into. That’s where the ‘sing a song of sixpence’ nursery rhyme came from. Interesting, right? With this knowledge, you can now go ahead and make one of our best pie recipes, feeling happy that you know some of the humble pie's heritage. Happy baking!